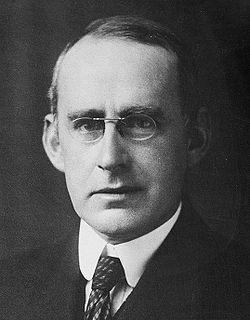 Sir Arthur Stanley Eddington (28 tháng 12 năm 1882 - 22 tháng 11 năm 1944) là một nhà thiên văn người Anh. O'Connor, J. J., and E. F. Robertson, "Arthur Stanley Eddington". School of Mathematics and Statistics, University of St Andrews, Scotland. Bennett, Clark, "Sir Arthur Eddington (1882–1944)". Founding Fathers of Relativity. Tenn, Joseph S.,"Arthur Stanley Eddington". The Bruce Medalists. Clausen, Ben, "Men of Science and of Faith in God, Sir Arthur Stanley Eddington (1882–1944)". Russell, Henry Norris, "Review of The Internal Constitution of the Stars by A.S. Eddington". Ap.J. 67, 83 (1928). Durham, Ian T., "Eddington & Uncertainty". Physics in Perspective (September – December). Arxiv, History of Physics. Kilmister, C. W. (1994). Eddington's search for a fundamental theory. Cambridge Univ. Press. ISBN 0-521-37165-1. Lecchini, Stefano, "How Dwarfs Became Giants. The Discovery of the Mass-Luminosity Relation". Bern Studies in the History and Philosophy of Science, pp. 224 (2007). Vibert Douglas, A. (1956). The Life of Arthur Stanley Eddington. Thomas Nelson and Sons Ltd.
Stanley, Matthew. "An Expedition to Heal the Wounds of War: The 1919 Eclipse Expedition and Eddington as Quaker Adventurer." Isis 94 (2003): 57–89. Stanley, Matthew. "So Simple a Thing as a Star: Jeans, Eddington, and the Growth of Astrophysical Phenomenology" in British Journal for the History of Science, 2007, 40: 53-82. Stanley, Matthew (2007). Practical Mystic: Religion, Science, and A.S. Eddington. University of Chicago Press. ISBN 0-226-77097-4. Trang này được sửa đổi lần cuối vào ngày 25 tháng 1 năm 2019 lúc 20:29.